Are you sure you want to remove "Pressure Washing a House" from My Projects? Self-service car washes are a great Idea. They let you wash your car the way you want to wash it, and they leave you alone. If you could fit your house into a self-serve car wash, you might never need a pressure washer of your own. That is, until you think a little. What about washing the car at home, getting off the caked-on grass from the bottom of the mower, blowing away the stains on the garage floor, banishing the dirt from your backyard deck, and prevailing over the mildew on all that plastic outdoor furniture? A pressure washer makes all these jobs easier and quicker than other approaches. And, it does a wonderful job of washing your house. 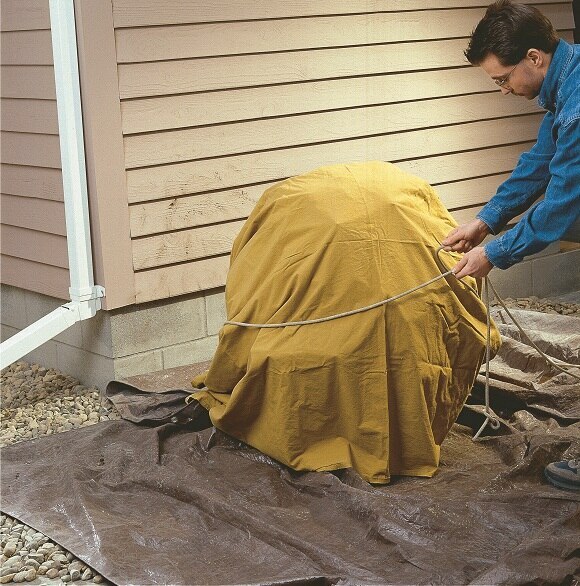 If using detergents, cover the plants around your house with tarps or plastic sheeting. Leave the cover on only when you are working. If it stays on for long periods during hot weather, the plants can die from exposure to too much heat. You have the option to add cleaning detergent to the machine’s water flow by installing a standard siphon tube between the machine and a container of detergent. 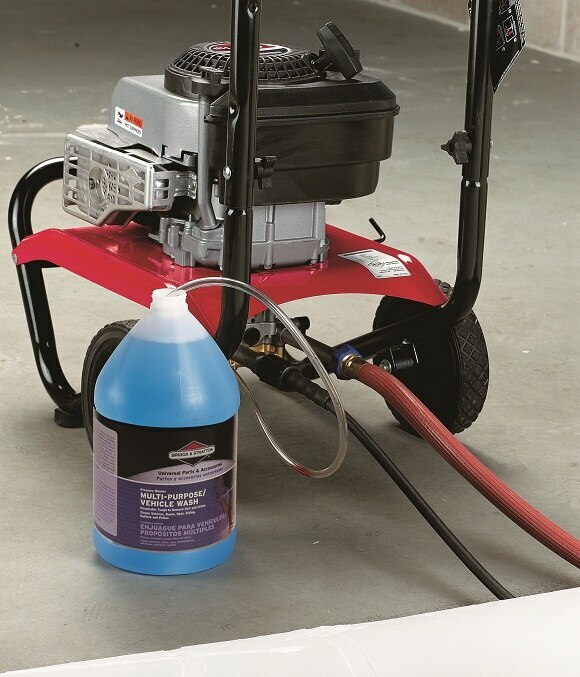 Stubborn mildew and rust stains usually need hand scrubbing with a weak bleach solution. Use a sponge or brush to clean the area and rinse the area thoroughly. Be sure to wear protective gloves. If the siding is very dirty, you may have to use a rotating scrub brush accessory to clean the surface. The brush can use either clean water or dispense a soapy solution. This is a bit like precleaning stains on clothing before laundering. 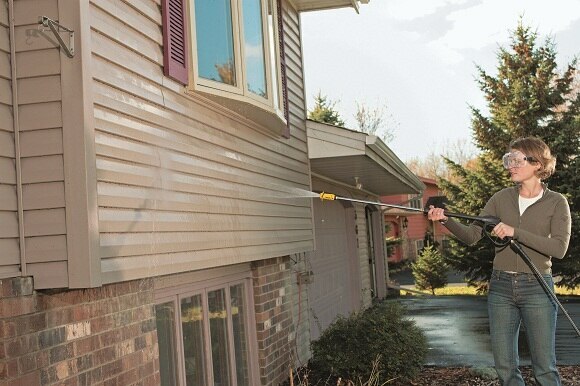 To prevent streaks on house siding, start pressure washing on the bottom and work up. Use the same approach whether you’re using plain water or soapy water. 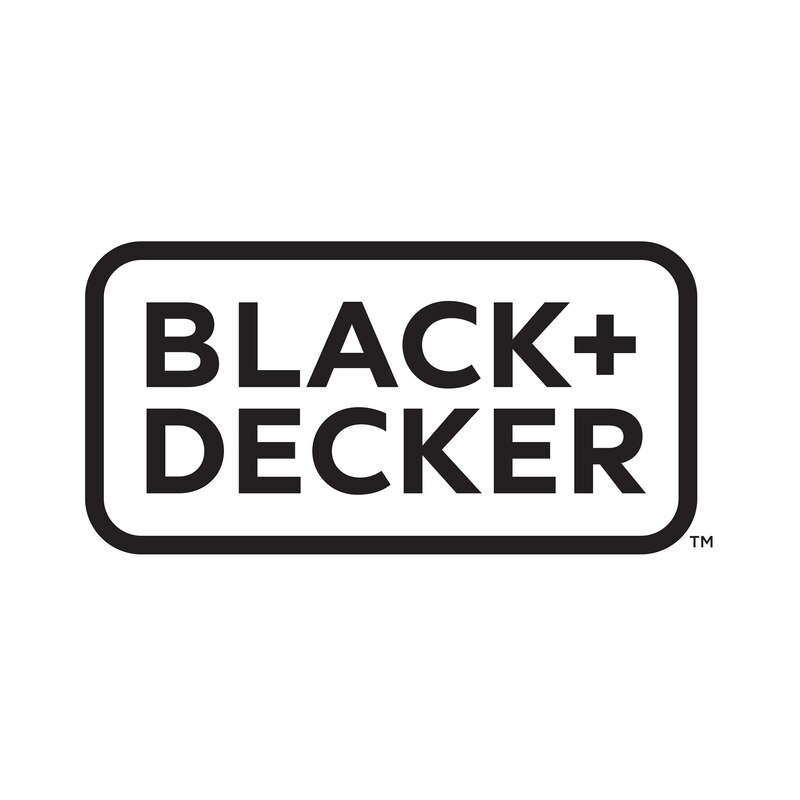 The clean water will flush away any dirt and soap residue and leave behind a clean surface.